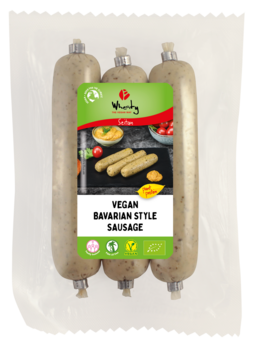 Wheaty „Bavarian Style“ sausages are based on the traditional Bavarian „Weisswurst“, but they are also very much children of our time: 100% vegan, organic, and eco-friendly. Weisswurst is never grilled or fried, only heated up slightly in water. (Beware: this is taken seriously in Bavaria. Very seriously.) 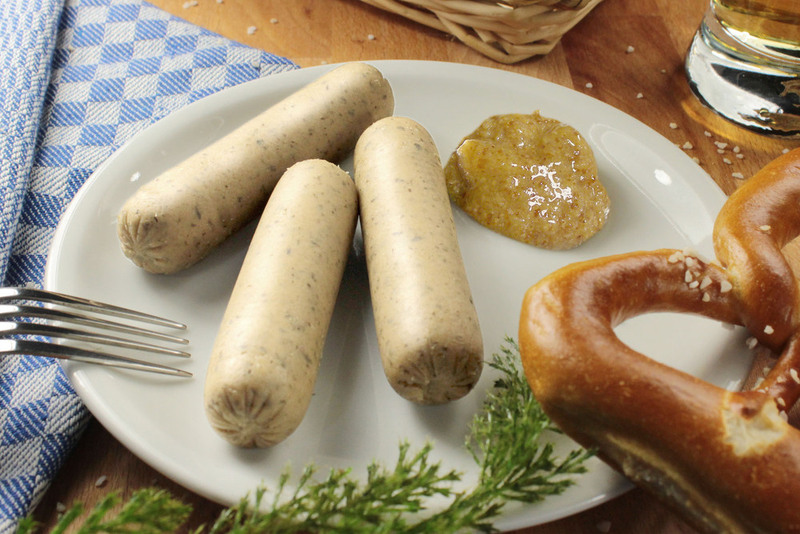 Prepare our vegan Bavarian Style sausages the same way: heat them up, take them out, peel the skin, and enjoy. They come with a unique taste, with hints of nutmeg, lemon, and parsley, and are usually served with mild mustard.